Yorkshire has it all – historic cities like York, world class museums, stunning countryside and then there’s the coast. The east side of Yorkshire’s coastline is made up of tiny fishing villages, long stretches of beach and family friendly seaside resorts. 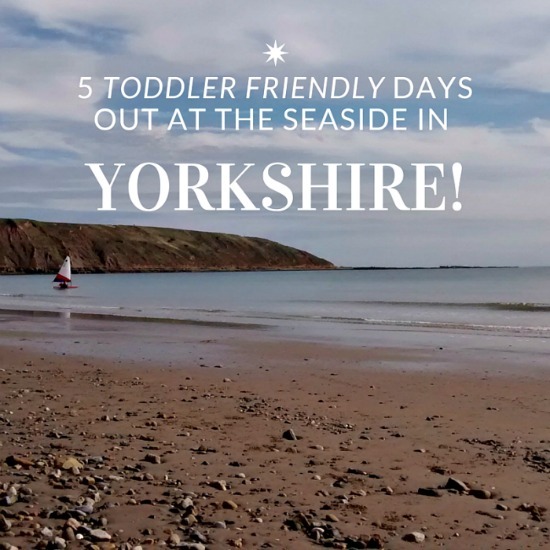 I spent all of my childhood holidays on the Yorkshire coast, and these are some of my top picks of the best toddler friendly days out at the seaside in my home county. 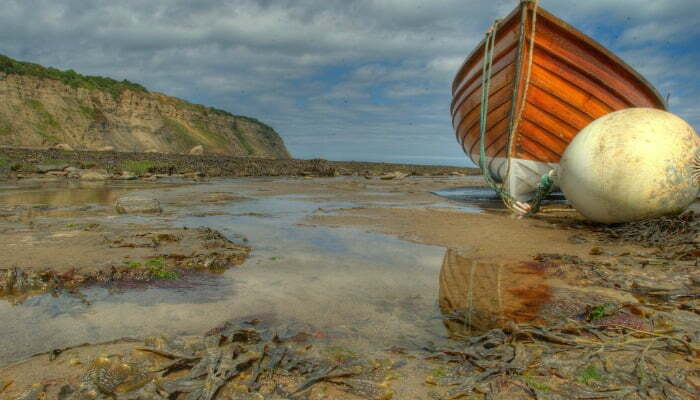 Tiny houses cling to the side of Robin’s Hood Bay, and its stunning location will take your breath away. The bay is surrounded by steep cliffs with a small beach at the bottom overlooked by houses perched dangerously on cliffs. Spend your day exploring the narrow streets and alley ways above the bay or grab your fishing net and bucket, and see what lives in the rockpools. The National Trust’s visitor centre at the edge of Robin Hood’s Bay is worth a visit to find out about the history of smuggling in the area and the local wildlife and geology. Toddlers will love the rockpool tank with crabs, winkles, sea anemones and prawns outside. Older children will enjoy the Robin Hood’s Bay Ghost Walk which is a tour through the streets and alleyways listening to tales of smugglers, sailors and shipwrecks. The walk last just over an hour and takes place every night at 8pm. Further down the coast, Filey is a traditional seaside town with one of the best beaches in Yorkshire. At over 7 miles long, it is so big that it never gets crowded! It is perfect for flying a kite, building a sandcastle or even a donkey ride. Take a walk on the beach up the Cobble Landing (past the fishing boats) to the promenade with a small fun fair on it – a real favourite with small children! Continue along the promenade right to the end and have a play in the paddling pool (there are benches around the pool for parents to relax on in the sun!) Then climb the steps up the cliff to Glen Gardens where you can play crazy golf, go on the boating lake or play in the playground or on the trampolines. 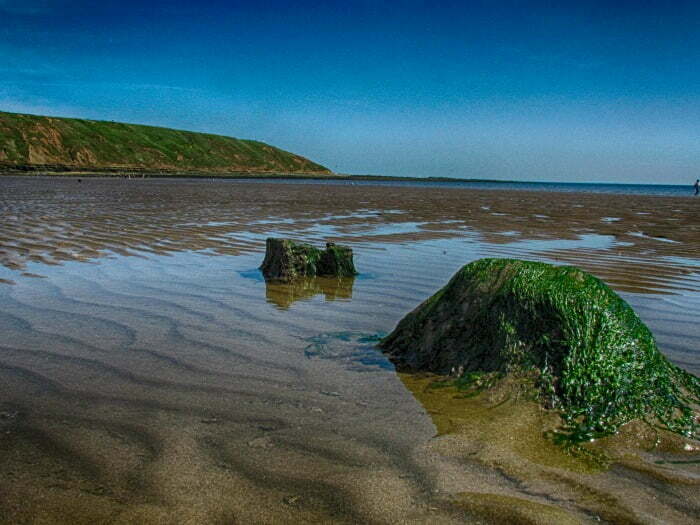 At the other side of Filey Bay is Filey Brigg. This peninsula stretches out into the North Sea and is great for a walk (if you are you lucky you might see some seals bobbing about in the sea below). On clear days you can see the other seaside towns along the coast such as Scarborough. Don’t miss the rock pools at the bottom of the Brigg. 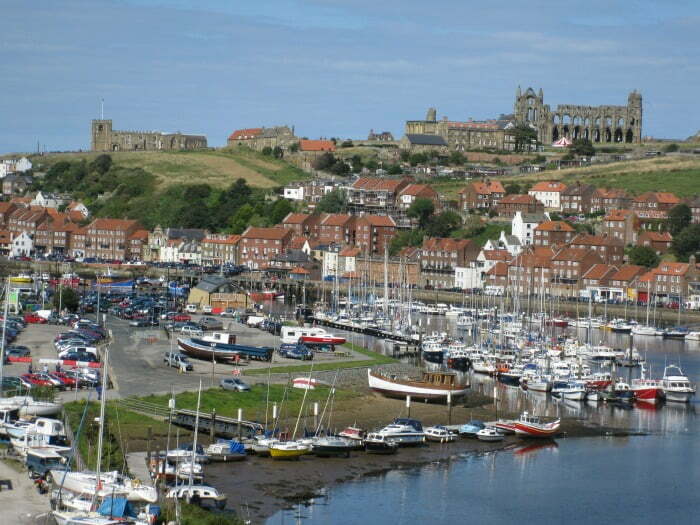 Scarborough is large seaside resort in Yorkshire with loads of family friendly attractions. 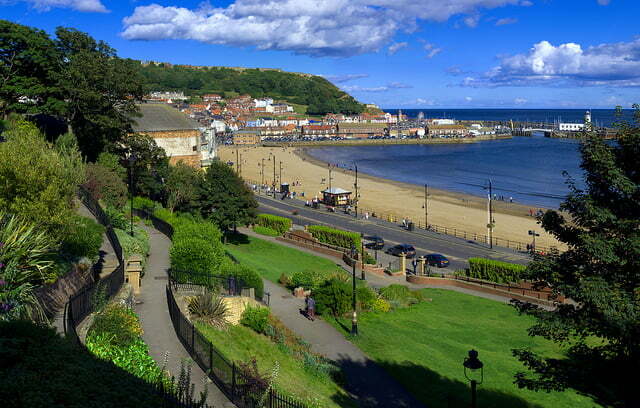 There are 2 main beaches in Scarborough; the South Bay beach and North Bay Beach. The South Bay beach is busier because of the fine, soft sand and calm sea which is sheltered by the Castle Headland. It is close to the town centre, shops and restaurants which is another reason why it is popular. North Bay is Scarborough’s quieter Blue Flag Beach meaning that it is one of the best in Europe for cleanliness and safety. There are beach showers and first aiders and lifeguards in the summer. Away from the beach, there is plenty for families to see and do in Scarborough. The North Bay Railway opened in the 1930’s and is a 1 mile train journey from Peasholm Park to Scalby Mills close to the Sealife & Marine Sanctuary. Here, children will can see seals, otters, penguins, turtles and sharks. Peasholm Park is an oriental themed park with streams, waterfalls, bridges and gardens for everyone to explore. There is a boating lake where you can hire rowing boats for a little row around the lake. Don’t miss the Naval Warfare display which takes place in the summer months and is a mini sea battle between planes flying overhead and 20ft boats on the lake – this is a real highlight for children and they will love trying to work out how the boats move! Bridlington (affectionately known as ‘Brid’ to locals) has 2 beaches with a bustling harbour in the middle. 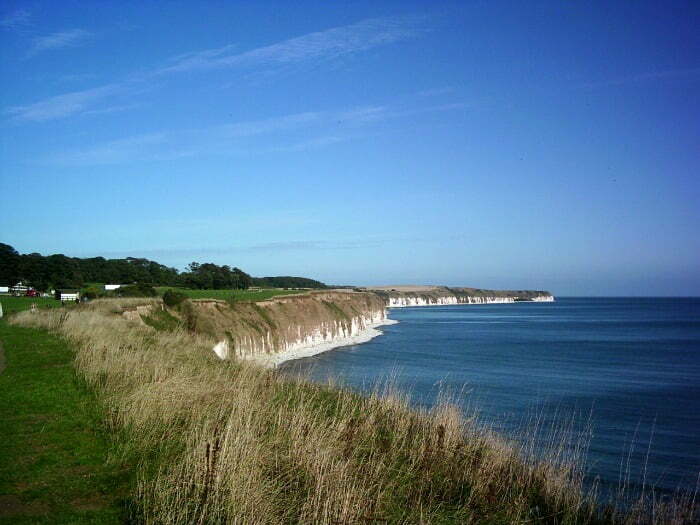 Children will love seeing the fishing boats bring in the catch of the day, or taking a boat cruise to explore the spectacular coast around Bridlington. Near to Bridlington is the Bondville Miniature Village which features more than 1000 hand painted characters and villages including a steam train crossing a river and a harbour with boats. At the John Bull Candy Kingdom, children can roll their own rock with their initials inside and make chocolate lollies – a good option for a rainy afternoon! Sewerby Hall and Gardens is located on the edge of town and features a children’s zoo, pitch and putt, putting green and tea room. Whitby’s fascinating past combined with its Blue Flag beaches make it one of the most popular seaside towns on the Yorkshire coast. The town is divided in two by the harbour and the River Esk Estuary which is surrounded by pubs, houses and shops. The legendary explorer Captain Cook was born nearby and his ship, the Endeavour, was built in Whitby – find out more about Captain Cook and his travels at the Captain Cook Memorial Museum. Whitby is a great place to get lost in and explore all the little streets and see the brightly coloured beach huts.